Big Brother's Jeff Schroeder and Jordan Lloyd are returning to you television sets again this summer! No, they're not going to be on Big Brother for the third time, instead their focusing their TV time on their engagement. Jeff and Jordan will be featured on WEtv's show, “Marriage Boot Camp Reality Stars" Season 3. The couple, whom met and feel in love during Big Brother 11, are going on the show to work on their "communication issues". 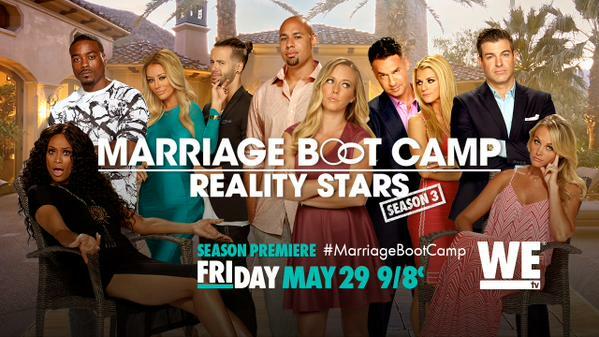 Marriage Bootcamp Reality Stars premieres Friday, May 29th (TOMORROW) at 9/8c on WEtv.